If you are currently looking for a towing service to come to you aid in Pasadena, TX, stop what you are doing and give us a call at Pasadena Towing & Recovery. With our number of tow trucks, we’ll be able to get you the help that you need in no time. If you have ever seen someone pulling a vehicle along behind a pickup truck, you might think this is a good way to save money on towing fees. The truth of the matter is that there is so much that can go wrong by doing this. Instead of taking the chance of something going terribly wrong, let us assist with your light to medium duty towing. We certainly understand the necessity to save money. However, ask yourself, at what cost you are willing to save money. Make us your preferred towing service in Pasadena and you are assured of receiving the most affordable towing rates in the city. When you hear the terms light to medium duty towing, in most cases, this refers to vehicles similar to a Sedan. Regardless of the make or model, as long as the vehicle is at 14,000 or less, it is often thought to be a light tow. When referencing a medium tow, it’s usually a vehicle of 24,000 lbs. You want a qualified professional to tow your vehicle because you want it to get to its final destination, safely. A qualified towing company will have the necessary operating permit and is licensed, insured and bonded. If the service provider isn’t willing to be forthcoming in divulging this information, you probably shouldn’t use them. At Pasadena Towing & Recovery, we don’t have a problem showing you our permits and relevant qualification information. As a professional service provider, we are even able to offer you an ETA. This is especially important if you want timely services. 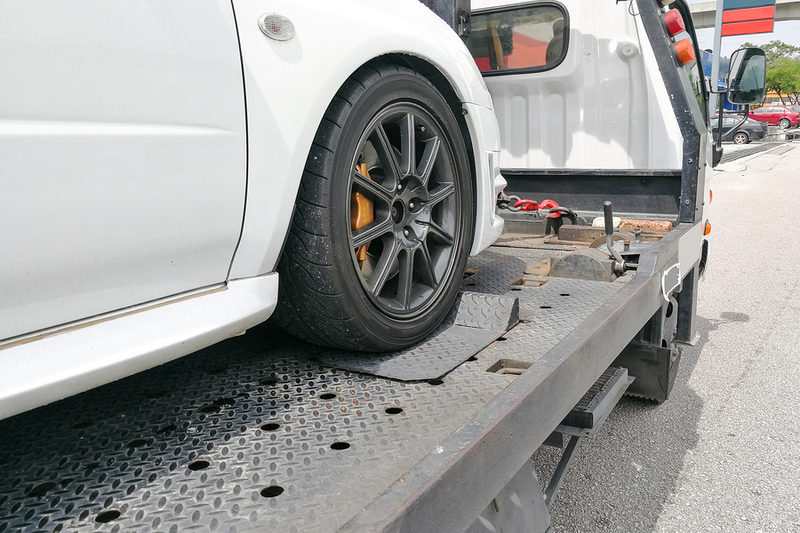 If you are calling for the help of a towing company, it would be in your best interest to turn to a qualified towing company. With the help of our professional tow truck drivers, we can safely transport your light or medium weight vehicle to where you would like for it to go. Our towing services are available around the clock, which means that we are always here for you, 24-hours a day. You are assured of receiving the most affordable prices when you call on the preferred services of Pasadena Towing & Recovery. We’re happy to stand by our work by offering you guaranteed satisfaction.